Since forming in 2007, it has been a wild ride for Dutch Symphonic Metallers Delain. Despite frustrations and distractions from changing managements and record labels, the band has continued to fly ever higher. As each album passes, the band has gained new admirers and rapidly become a favourite amongst Symphonic fans as well as the Fireworks team. 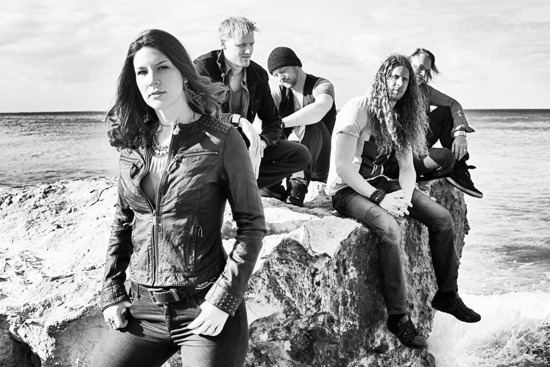 With the band’s latest album ‘The Human Contradiction’ now out, Dave Scott jumped on the phone for a chat with Charlotte Wessels. Afternoon Charlotte, it’s great to speak to you again. Before we get going how have things been since I saw you at Dames Of Darkness last year? I have been keeping well, very well and I’m totally fine thank you. So no recent accidents, broken bones or broken door handles ha-ha? Ha-ha no...all fine this time. After chatting to you last year, were you pleased with the overall reaction to ‘Interlude’? Yeah I was, for us it was kind of a bonus for us to be able to release that album. I think it has done pretty well; I am really happy with how people responded to it, I am also really happy with the songs that I thought might not get released and they did...so yes. So we’re here to talk about your new album. Where does the album title, ‘The Human Contradiction’, come from and how does it fit with the songs? I got it from this brilliant work of fiction, a trilogy of books called ‘Lilith’s Brood’ by Octavia E. Butler. In these books “the human contradiction” is a metaphor that is used to kind of explain the reason why humanity basically killed themselves. It is this combination in our character which makes us both intelligent and hierarchic. This hierarchic thing is actually the problem; the more successful and intelligent life forms are not hierarchic because this hierarchy causes and makes us rank one thing over the other; whether it is humans ranking each other or humans ranking themselves against non-human nature. It is taking these completely random qualities in order to justify themselves ranking one over another. This of course causes topics that we have touched on before like racism, sexism, and criticism...that’s where it comes from. So there’s a connection with ‘We Are The Other’s’ there? Definitely...definitely! I mean with ‘...Others’ we first touched upon this whole idea of “otherness” within humans and this is something that I have been obsessing about, both artistically and academically, for the last couple of years. So it is kind of working its way back into the lyrics from different angles; between humans or between humans and non-human nature. It is not like it is a concept album or such like, but this whole idea of “otherness” and how we relate to it is a red thread that is running through the album. I thought that this title ‘...Contradiction’, as kind of an over-arching idea of what causes it...I thought it was a brilliant idea and a brilliant album title so I shamelessly borrowed it ha-ha. That actually runs nicely into my next question. Having read about the album title I wanted to ask was this a concept album about the books, was it more of an album with a complete theme running through it or does the title reference a simple thread through the songs? It’s more a thread then a full theme? That’s right, there is one song on the record which is directly inspired by the first book of the trilogy because I do feel obliged to pay tribute the origins of this title. This is the song ‘Stardust’ which is really inspired by the first book which is called ‘Dawn’. Given ‘Stardust’ is the only song to reference the books, what sort of other subjects do the lyrics cover? Well for example there is the song ‘Army Of Dolls’ which is really about the “otherness” within human beings. It’s about objectification and the rules that we get into in this normative society in order to be perfect, beautiful or just to be considered normal. This of course is a topic that is very much relatable to ‘...Others’ so this one is very much about that. ‘Your Body Is A Battleground’ is about the industry that physically makes money out of telling people that their bodies are not as they should be which I think is an extremely scary thing. Of course we owe a lot to medicine but there are some corners of it that I think are quite frightening actually. So this is about that type of “otherness” within human beings. Then there is ‘Tell Me, Mechanist’ which is about human attitudes towards animals. That’s a couple of them ha-ha. How does this album compare to your previous ones? The first thing I felt was that it had some real guts to it and that it was your heaviest album so far. Yeah I have noticed that. I mean it’s not something that we...well I suppose it is something that we actually deliberately always try to do but I don’t know why this one has come out heavier than then previous ones. What I do feel is, I mean in our whole approach to writing these song we had a kind of different attitude because when we were recording our previous album there were a lot of people involved. A lot of that was great; like for example the producer trio we were worked with, they were absolutely fantastic. But we had also been involved in three different labels and two different managements at the time. At one point the involvement of so many different people with so many different opinions...you know we are stubborn enough to not let those opinions steer us away from what we want to do but at one point we were putting so much energy into these politics instead of the music. With this record we thought we are just going to do this by ourselves and take an inward turn. Martjin Westerholt was back producing and we kind of only involved third parties when we really had to. I think may be this also influenced what came out. One thing I do know is that it was very creatively free because of that. Well that answers have you done anything differently that was partly responsible for this. So you guys have closed the circle a little bit which can often be a good thing...after all the old expression says “too many cooks spoil the broth”. Yeah funny enough we actually mentioned that phrase quite a few times when we were making our previous record ha-ha. Also you had Timo Somers on board fully all the way through this time. I know when he originally joined most of ‘...Others’ had been written. Yeah definitely, and this is also a cool thing. 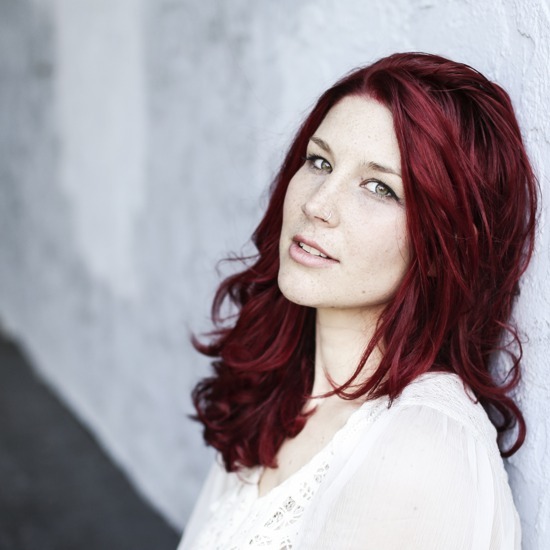 Somers might not be in the active writing team of Delain but of course I like to believe that everybody, when they record their parts for the music, that they bring in something of themselves. So it was definitely a very good thing to have him present all the way. And also when we had the demos of course we always discuss them and similar stuff so it was really cool to see what that did. I think also because this time we were not in a situation where we had three producers who kind of overviewed the process. I think everybody had a lot more responsibilities of their own and I think that this make the record more personal. Not only for the people that who wrote the music but for everybody involved because everybody had a massive responsibility for the end result. And also a freedom to express themselves? You have some guest appearances on your new album including a couple of old friends that have returned to lend a hand. Who joins you on the album and in what way did they help out? Well first of all we have Marco Hietala who of course has been a massive part of our sound on our earlier work. We realised this is the third time we have asked him to collaborate on a record. The thing is just whenever we write music and we kind of think how would male vocals sound here...the first voice we imagine is his. We had a point where we thought “ah should we do this a third time again” but in the end one of the things that was typical about this record was that we want to do what we thought was cool. We were absolutely sure that if we were to ask him again he would deliver something again that we would really like. This is what happened and we really love his contributions. I also think that it is really cool because I feel that this album, in a way, brings back on some of the earlier material that we have done what with having these very elaborate orchestral sounds and having the prominent grunts again. It is only fitting too also have this reunion again. The same goes for the guest appearance of George Oosthoek, the grunter, who was present on our first record and who is grunting again on the track ‘...Mechanist’...actually quite a lot ha-ha. It’s old but new isn’t it? You have bought back some of the old elements and wrapped them up in some of the newer ones that you find on the later albums. Speaking of new, there is also a guest appearance from someone who hasn’t featured with Delain before? Yeah sure we have got Alissa White–Gluz and I am really proud to have her onboard. I am a big fan of her voice and the versatility of her voice. She is also just an awesome person in general. I thought it was really cool that she was happy to collaborate on this record. She did a great job on the album finale ‘The Tragedy Of The Commons’ and I think it turned out pretty epic! Given you took a more inward turn, who did you turn to when it came to mixing and mastering the album? We went to Ted Jensen (Madonna, Billy Joel, Muse) for the mastering and he is a Grammy winner and really a hero. He has worked with some names hasn’t he? Oh my...I skipped through the list of his work and many of my favourite records are in there so this is really impressive stuff. The record was mixed at Fredman Studio’s which of course in the whole Metal field is a very well known name. I think that they might also be responsible for this really dark and heavy edge that you can hear on the record itself and in the production. I think they did a great job and really lifted it all to another level. Are there any interesting or amusing stories from behind the recording of the album, I know you guys tend to have a lot of fun together? Yeah we do. I have been asked that before but the thing is there probably are stories but I can’t think of any right now. We had a lot of time pressure on this record so as a result of this we spent less time...actually this is a shame I hope we can do this differently next time...we spent less time together in the studios. You recorded a lot of stuff separately? Yes exactly. I have been asked this question before and I thought “if only to give a better answer to the question” we should definitely do that ha-ha. There are certainly funny things but most funny things are our type of dense humour and I wouldn’t share that in public ha-ha. I must say the album has a striking front cover. It was a combination of a fabulous photographer that we have worked with for a very long time, Sandra Ludewig who has been our go to photographer for quite some time now, and the designer guys in Holland. I am completely impressed by what they did; I had a wish list for the cover and for the artwork in general which was about a mile long. There was a lot of information and things that I wanted to see in the artwork and all credit to these people to actually translate that to one striking visual image. I am really happy with how it turned out. I know I do not look my friendliest ha-ha. Ha-ha yeah yeah...but this is not the type of music or theme to be all “hey I’m the prettiest thing”...I hate those types of covers in general. I think it’s quite striking and I am quite happy with it. You are releasing the album on different formats including vinyl. What made you go the vinyl route rather than just a standard and special edition CD? This is one of the things that I am really happy about with our collaboration with Napalm actually. I really like vinyl in general and this is something that we always want for our records, we are always very excited when it comes out on vinyl. In the past it’s something that we really had to ask for and kind of beg for to make it happen. We talked about it with Napalm when we handed in the master and it was okay...there’s going to be a box-set, there’s going to be this, going to be that and there’s going to be vinyl. We were all like “no way”. Of course with the previous records we were in frustrating positions but it feels really cool to have a label that is so active in putting these things out. We really like to have these special editions, but especially the vinyl, I think that is pretty cool myself. It’s great to see bands turning back to vinyl again, especially in this digital obsessed world. Yeah me too...unfortunately my turn-table just died, I have to find an alternative for that, but I’m really a fan of it myself. Aside from the new album, your main focus this year appears to be touring. You have a European tour with Within Temptation, which includes the U.K. of course, then the American and Canadian dates with Sonata Arctica and Xandria later in the year. Are you looking forward to returning to the U.K.? Definitely, it’s been quite a long time since we...well we obviously did the Dames Of Darkness Festival but like our last headline tour is actually quite some time ago so we are really looking forward to coming back. Of course since we are joining WT, it’s not just going to be a tour...I mean we will play Wembley...phew this is bucket list stuff. This is really exciting and really cool and we are genuinely really excited to return. So it’s a big thing for you to play at Wembley Arena? Oh for sure...yes it is. I am really looking forward to that. I have done this project that was called ‘Queer Amsterdam’ sometime ago. That was the music for a television series...well for the pilot of a television series I should say. This one has premiered and the television series is not yet in production but I am kind of considering finding a nice format to put the music out that we made for that out because there was a lot of nice stuff there. Errr no it’s not a solo album idea because I have done this with other people, it’s just going to be something different. Like a various artists entry? Yeah maybe...it’s just I have a problem with the term solo just because I am doing something that it is not in the context of Delain that’s not to say there isn’t others involved. I get what you mean; just because your name is involved it is not just you. Exactly, it feels a bit egotistical to call it a solo album just because it’s not Delain. Of course I actually worked with Guus Eikens as well who is writing with Delain and with a friend of mine who is a superb musician. So I wouldn’t call it solo but that’s details. I am also working on another project but this is still very much a secret because we are just starting to try some things out. But maybe in a few months or so people will be hearing more about that. I will wait with interest for that. So what are your hopes for the next year or so? Is it just about the touring and the new album or are there any other little things you are hoping to achieve in the next twelve months? For me, this is actually the first year that I will be doing music without my studies on the side. So I am really ready to dive in to all the touring, all the possible Delain activities and maybe do some music on the side. I am going to see how I will do as a full time musician. I am really looking forward to that as well. I still have a reading list which is a mile long that I made during my studies so I will not dry out intellectually now that the studies are done ha-ha. So yeah I am really looking forward to that and touring our asses off and we’ll see what happens next. Thank you for your times today, it’s been an absolute pleasure as always. Is there anything you would like to add to close? I think we have talked about a lot of topics. I would like to thank you for the interview and I just want to say we look forward to seeing you all on tour.